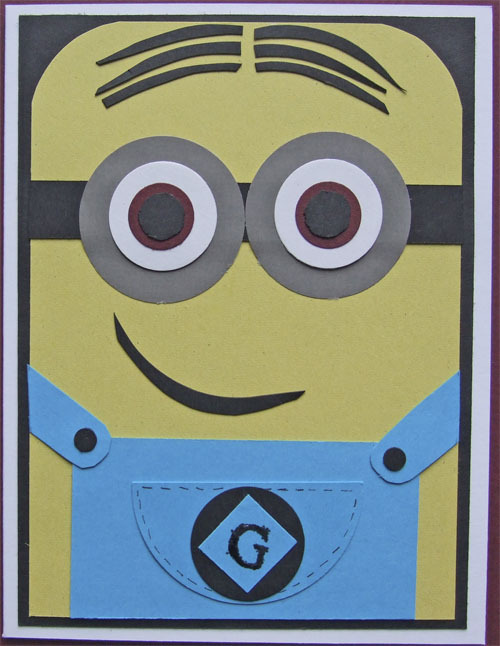 So this is the minion card I made for DS, he is chuffed with it. It is a lift found it when I googled to get ideas to see if I thought I could do one. For those of you who don't know they are from the film 'Despicable Me', which he loves. Ha,ha. Great card Alison. I love the minions, lol. Never heard of them myself (I need to get out more!) but a fun card, Alison. lol, was going to ask what a minion was. Great card for a fan! Brilliant, yes they are everywhere, a Despicable fan would love that. Never heard of them either but a great card Alison. Ha ha Phoebe would love this. Will's gf. Great card, never heard of them either.